Jared spent 10 years in the financing industry, which led him to the lasik eyecare business. In 1999, Jared founded three Lasik eyecare clinics, most notably Eau Claire LASIK and Minnesota Eye Institute, St. Cloud. During his eye care business career, Jared acted as a consultant in a public speaking role, giving presentations on how to best market and manage the business. Jared also owns and manages a variety of investment properties in Florida and Minnesota, which lead him into his current career in real estate. Jared's vast knowledge of the industry and business background has generated a great platform. Jared Lundgren and his wife, Beth, operate a retail business called Giada's Boutique in downtown Aitkin. Since 2008, they have lived in the area full-time on Farm Island Lake where they first purchased a vacation home in 1997. Their family includes 3 children. Jared put together an outstanding team. Each member brings a different set of strengths to share with the team. We take pride in being focused on customer satisfaction - paying attention to every detail along the way and providing the best service possible. Our team is growing and we are looking for more top-notch people to join us. If you are interested contact us today! Rhonda, who joined Team Jared in the summer of 2017, is a customer service professional with over 15 years of office management and business operations experience. Her aim is to provide the highest level of friendly service to all clients while providing organization and operational ease to the daily demands and business needs here at RE/MAX Northland. Rhonda is your "go to girl" for any questions you may have...if she doesn't have the answer, she will know who does! In 2017, Kim finally made the move into real estate when she joined RE/MAX Northland at first as an Office Manager and now as a Licensed Real Estate Agent. We believe, Kim’s experience in corporate Marketing combined with all the big name benefits of RE/MAX, ensures a winning team for bringing your real estate dreams to life! Kim’s biggest strength is her dedication to meeting each individual’s specific needs. With Kim as your agent, you will see her focus is on uncovering and understanding your family’s unique needs and wants, so she can do the best job possible for your success. 4.95% as well as professional photography, drone videography & virtual home tours! 1. The RE/MAX Advantage - We are proud to be a part of the RE/MAX team. According to the 2017 REAL Trends 500 survey, RE/MAX is the #1 name in real estate. RE/MAX associates included in the survey on average outsold competing agents with a ratio of more than two to one. 2. The Local Advantage - Take advantage of a broad spectrum of technologies and tools to support the sale of your home from start to close. Our team has years of experience living and serving in these communities and have the connections necessary to market and sell your home. In addition, we will complete a thorough market analysis to ensure that you get top dollar for your property. 5. Negotiating Deals with a Personal Touch - Of course, technology alone won't sell your home. Face-to-face interaction provides the advantage to sell your home - and you won't have to worry about a thing. Our team is lead by Broker/owner Jared Lundgren who has 30 years of business and negotiating experience. Every little detail will be handled with care and constant communication - we will ensure the marketing and sale of your home go smoothly. 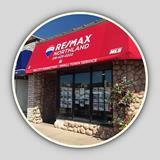 Learn more about our Broker and see RE/MAX Northland properties listed TODAY! To find out more about selling your home, click here to contact us. We specialize in lake & log home properties in Aitkin, McGregor, Brainerd and their surrounding lake communities. Let us give you a tour of the many beautiful properties, cabins and lake homes that Minnesota has to offer! Check out the amazing AERIAL FOOTAGE / VIRTUAL TOUR for one of our previously FEATURED Listings! "We couldn't be more pleased with the overall customer service that Jared and his entire team provided from the time they listed our home, until it was sold. They were always accommodating, extremely friendly, very proactive with our listing, and were always available to offer support and wisdom. We felt that their service was second to none, while at the same time my wife and I appreciated their honesty. 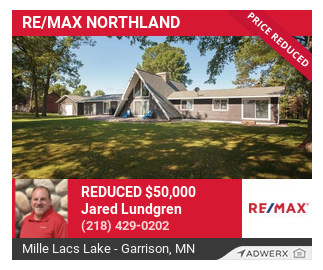 While trying to sell a house can be a daunting task, Jared, Rhonda and the entire REMAX Northland team exceeded our expectations on every front. Not to mention, that they also sold my mother's house and she closed within 3 days of us closing on our home. Again, whether your buying or selling your home, I couldn't more highly recommend this company or team of dedicated agents, who ultimately became friends." "Excellent open communication, did not feel pressured during sale of our property due to "lender" issues that delayed closing, Kim is calm, professional and consistent to get the deal done ASAP!!" "Excellent open communication, did not feel pressured during sale of our property due to "lender" issues that delayed closing, she is calm, professional and consistent to get the deal done ASAP!!" "Bought a cabin. Process went pretty smoothly and quick except closing day! But Kim stuck with us the entire time and helped us take care of the issues. She has even followed up with us after the transaction to make sure everything was going okay for us. in mcgrath, mn"
""Working with Kim Baker went smooth and she was very understanding with details. Communication was very good and she kept in contact throughout our time with her. I would recommend Kim Baker with helping buying a new home anytime." 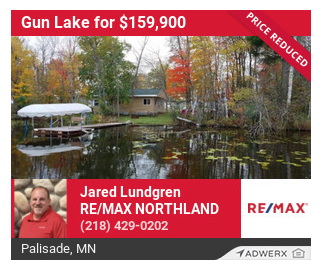 37253 State Highway 18, Aitkin, MN 56431"
"Kim provided us with numerous listing to find our dream lake cabin. Kim was familiar and knowledgeable with the area and was always timely when questions were presented. 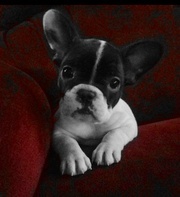 She never pressured us and was very patient during the buying process. I would recommend Kim to family and friends. Thanks again Kim!" "A very professional experience Dealing with Jared and Rhonda - it just doesn't get any better than the experience I had when I needed questions and curiosities answered thru Rhonda. Excellent service selling my lake shore cabin. Thank you!" ""I wasn't really looking for a realtor yet because we were just starting to think about buying a cabin but Kim contacted me and was not pushy at all. She would check in with me every once in awhile and when I found a place on Zillow that I wanted to look at I called her and she showed it to me. We recently closed on the property and are very happy with the whole process and Kims service." 4/17/2018"
"Great buying experience! Realtor Jared Lundgren was friendly, professional and knowledgable. He served as a dual agent on our transaction and he fairly represented both parties. Jared receives the highest recommendation I can offer. If you are fortunate enough to work with him on the next purchase or sale of your home/property, you will be very satisfied. Outstanding service by the entire team!" "Found the house that wasn't on the market and worked with me on a complicated buy. He is the guy to use in this area as the level of professionalism in "2nd home" areas can be pretty low. He brings a ton of big city experience to a market that is full of agencies that are far from his level of service." "Jared was very knowledgeable and prompt and friendly. He made buying a home easy. He found the home we were looking at our price. 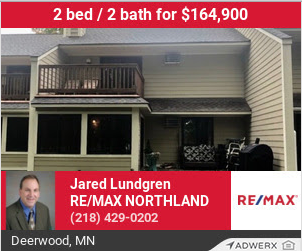 I would highly recommend Jared and Remax Northland to anyone looking to buy or sell any real estate." "We are very pleased with the results of our sale. Jared knows the real estate business well and the area. He and his co-workers were very expedient in giving us the results of our showings. We appreciate their efforts." "Jared assisted in the sale and the purchase of our homes. He did an excellent job and refused to give up when parts of the deal became challenging. We will be using him again and highly recommend Jared to anyone looking to buy or sell property!" "We highly recommend Jared Lundgren. He was so helpful in our search for a lake home. He was so patient in our search and his knowledge made our experience so enjoyable. We are so thankful for his help in purchasing our new lake home." "I can highly recommend Jared for a realtor without any hesitation. He was very patient with us and gave us some great advice which was in our best interest, but maybe not his. He was available in the evenings and was always cheerful and willing to help us. I feel fortunate that we worked with him. We did not buy a Lake home, but if we had and I would still have given him a five star review." "Mary and I just want to thank you again for all of the help finding the right cabin. I know we were very picky trying to find the right one. Your knowledge of the area really helped us lock in about 3-4 lakes. Also, thanks for the gift of knifes, we plan on leaving them at the cabin and will think of you each time we use them. Like Mary said we would like to take you and your wife out next spring. Have a safe and Happy Thanksgiving. Thanks again! Oct 2017"